Women are often more worried than they should be when it comes to travel in the Middle East. Megan Czisz shares her tips on how to be prepared and get around safely. At first, I avoided telling people I was visiting the Middle East. "I’m traveling overland between Istanbul and Cairo," I’d say vaguely. If people didn’t realise which countries were between those two cities, that wasn’t my problem. But now that I’ve made it home safely, people are curious about my travels, where I was often alone while traveling through the so-called axis of evil. I'm asked, "Was it safe? What did you see aside from sand and camels? Did you travel with a male companion?" and when I tell them no, "Are you crazy? What did you wear to cover your head?" As I discovered, with careful research, planning and a bit of gumption, women traveling solo can stay safe and explore the Middle East safely. By doing so, I discovered some of the most fascinating places and friendliest cultures on earth – not to mention some of the cheapest destinations to travel. While these tips are primarily for women traveling to the Middle East, they should help anyone planning a trip to this region. 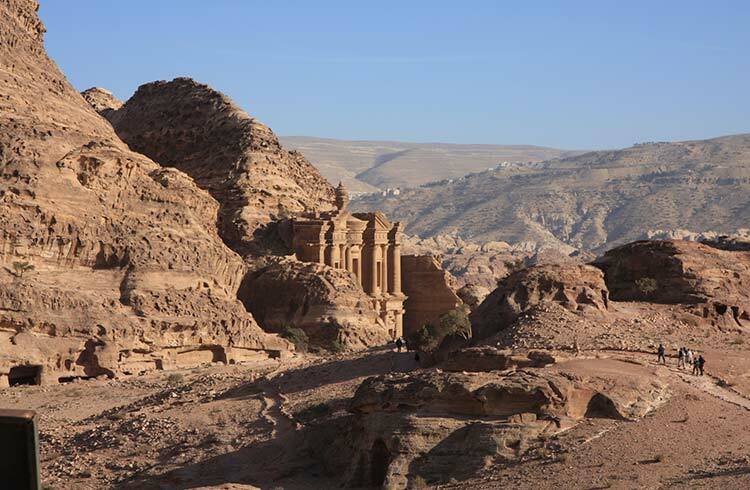 Ancient ruins and souqs, exquisitely tiled mosques, deep desert canyons, cedar forests, sprawling cities, hilltop monasteries – the Middle East is as diverse as it is vast. 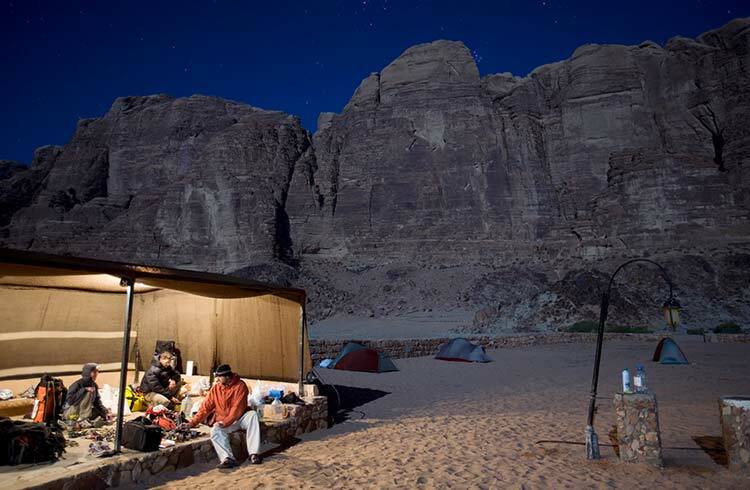 Take the long way and follow the King’s Highway through Jordan, dive the Red Sea in Egypt's laid-back Dahab, or explore Mutrah Souq – one of Oman's oldest markets. It's not far between sights, so you can see a surprising amount in a short period of time, even while traveling overland. Unless you’re traveling to a part of the Middle East that requires you to do so by law (such as Iran, Yemen and Saudi Arabia), there is no need to cover your hair. In fact, if you’re not a Muslim and choose to wear a hijab, many locals will find it confusing. You should, however, dress conservatively. Look around and see what local women are wearing. You’ll receive much less attention if you’re wearing long pants and a t-shirt that covers your shoulders and midriff. A scarf, always a funky accessory anyway, comes in handy on the odd occasion you visit a mosque that requires your hair to be tucked out of sight before you enter. There are some places where you can get away with wearing less – any of the Dead Sea beaches and major tourist sites like Petra and the pyramids. But just because you can, doesn’t mean you should. Dressing modestly shows respect to local customs and culture. Plus, it means you don’t need to worry about shaving your legs! Arabic is the primary language throughout much of the Middle East, and although English is widely spoken (particularly in countries like Lebanon and Jordan), like anywhere else in the world, locals appreciate any effort you make to speak their language. I’ll never forget the smile that broke out on an old man’s face in a pharmacy in Damascus when I greeted him with salam alaykum (literally, peace be upon you) and thanked him by saying shukran. Because it’s so common for Westerners to visit countries like Syria to learn Arabic, people might even think you’re more fluent than you are. In many parts of the world, the Middle East included, it’s not considered intrusive to question a stranger about their marital status, income and family situation. It’s nothing sinister, just genuine curiosity. And people (especially taxi drivers) are particularly curious about women traveling without a husband, brother or father accompanying them. You will definitely be asked where your husband is, and you can also expect to be asked whether you’re traveling in a group. It’s up to you whether you answer these questions truthfully. It can be a great segue into asking about the questioner’s life, but if you feel uncomfortable it’s okay to fib a little. Whenever taxi drivers asked if I was married I always said yes. And if I was asked where the rest of my group was, I’d say vaguely "at the hotel". Which hotel? I can never remember the name of it. Use common sense, and when it comes to how much you reveal to a stranger, trust your gut instinct. In many countries in the Middle East, it’s rare to see women working outside the home or in the service industry. This means hostels, guesthouses and hotels are often staffed entirely by men. This can be disconcerting at first and you might even go days without speaking to another woman. 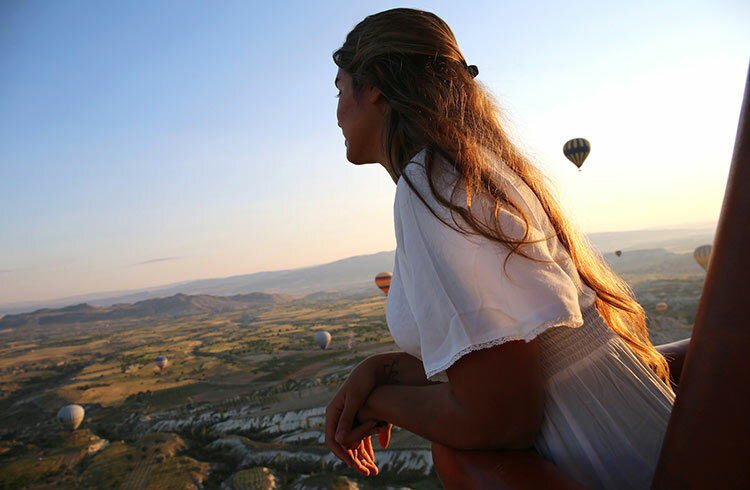 Often guidebooks will mention specifically whether a hotel is or isn’t suitable for solo female travelers, and if you’re uncertain, search online for reviews from others who have been to your destination recently. Okay. The Middle East is hot. You get sweaty. When you’re traveling, it’s difficult to wash your clothes as often as you should. You’ll frequently take long bus rides without toilet stops. If you’ve ever, at some point in your life, had some kind of delicate infection that could possibly recur, bring some medication for it. Trust me. It’ll be much easier than trying to explain what exactly you think might be wrong to a local (male) pharmacist who doesn’t speak a lick of English, and is likely to call up five friends to come and assist with interpretation. Let’s not kid ourselves. The bad press the Middle East receives isn’t always undeserved. It’s a volatile region and the situation changes daily. 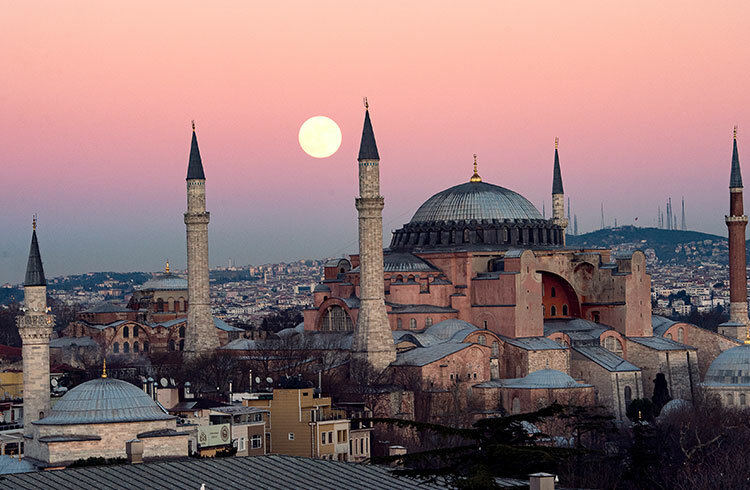 While a country or city may be safe to visit one month, it may not be the next. Keep up to date with your government’s travel advisories, read online forums for trip reports from recent travelers and follow the news carefully. Once you’re in the region, ask locals for advice. Constantly having your guard up means it can be difficult to have genuine interactions with the locals, particularly with men. But trust your instincts – most people are actually not out to get you, and chatting with people about their lives is one of the most fun aspects of traveling. If you feel like it’s okay to have tea with someone or visit their home, it probably is! This nomad went to Egypt to help excavation of a temple tomb in the foothills of South Asasif, and shares 5 lessons she learnt during her time there. 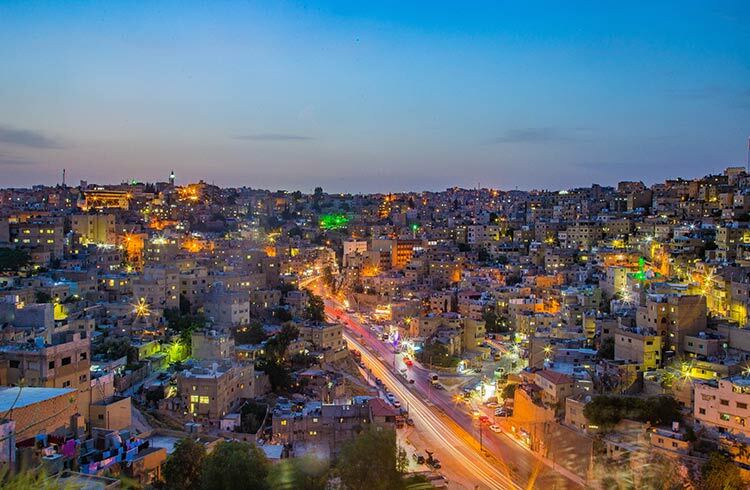 Explore Amman, take a day-trip to Jaresh, visit Dana Nature Reserve, or go trekking near the Dead Sea – this nomad knows how to get off the beaten path in Jordan. My family and I just landed in Abu Dhabi for a few years' stay. I found this post really helpful. Thank you! !